GreenWorks, as part of a multi-disciplinary team, assisted TriMet in a regional effort to extend light rail service (the Orange Line) from downtown Portland to downtown Milwaukie and North Clackamas County. The Portland-Milwaukie Light Rail project (PMLR) is a vital transportation element in the region’s strategy to manage growth and build livable communities for future generations. 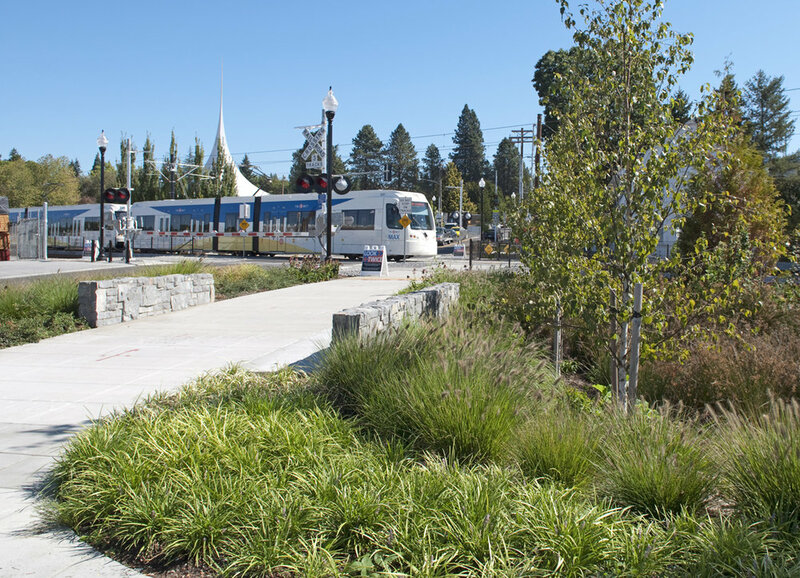 GreenWorks provided landscape architectural services for the final design of the Portland Milwaukie Light Rail including urban design, planting design, sustainability initiatives and art coordination. GreenWorks assisted in coordination and collaboration efforts with Clackamas County, Multnomah County, the cities of Portland, Milwaukie and Oregon City, the Oregon Department of Transportation, TriMet and the Portland Development Commission. The PMLR project is above all about connecting people and bringing economic vibrancy to the Portland Milwaukie transit corridor. The Orange Line opened for service to passengers on September 12, 2015.